One of the more complicated matters when dealing with wildlife disease epidemics is that often we don’t know about it until it’s already well underway and whatever pathogen is involved is lurking across a wide geographic range at low levels. This is certainly the case with the Sea Star Wasting Disease – which by January 2015 had affected stars from the Kenai Peninsula (Alaska) all the way to the US-Mexico Border (and possibly further south… we just don’t have any observations in Mexican waters). Because an objective of any pathogen challenge study is to infect ‘clean’ or uninfected animals, such situations make research challenging! 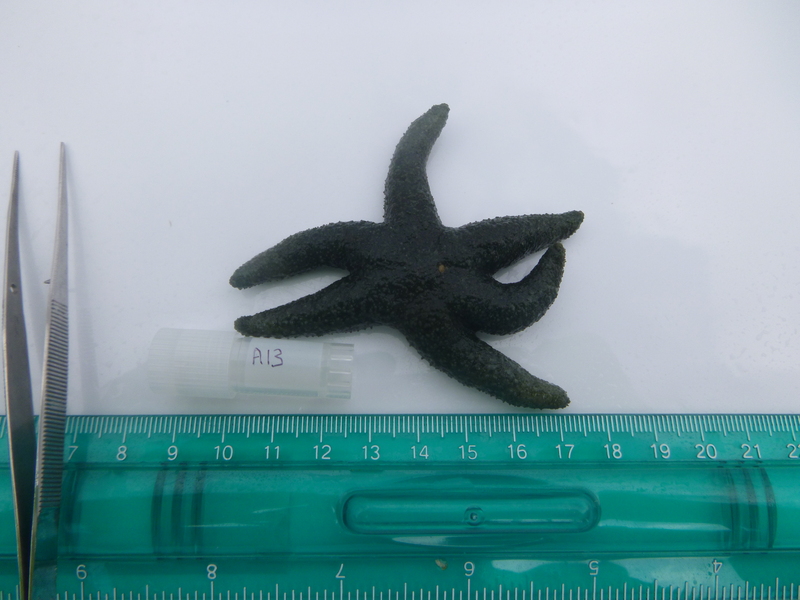 In March 2015 we mounted an expedition to sample sea stars as far away from the epidemic as we could find, in order to identify populations for future studies. 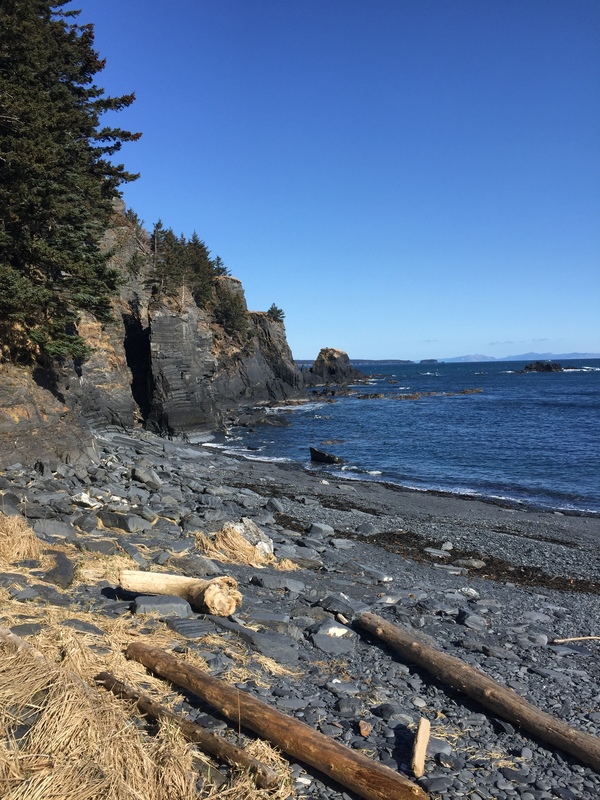 We chose to look at two locations: the Aleutian Islands, and Kodiak. 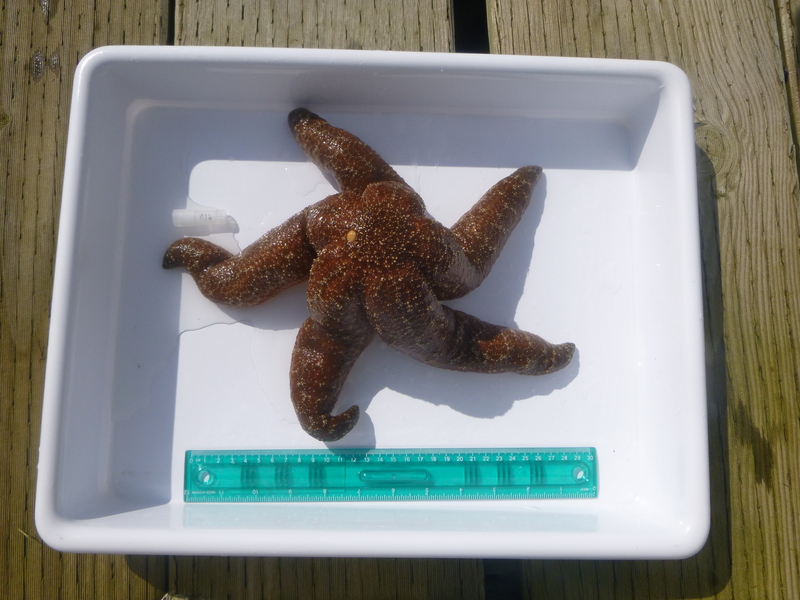 Both are further west than a significant biogeographic break in sea star ecology (Kodiak and Unalaska Island are well offshore and not well connected to continental populations), and are reachable – albeit with some difficulty – by commercial air transport. Difficult, because weather, volcanic activity, and other factors ensure schedules are never 100% reliable, and hence one needs to have a wide window! 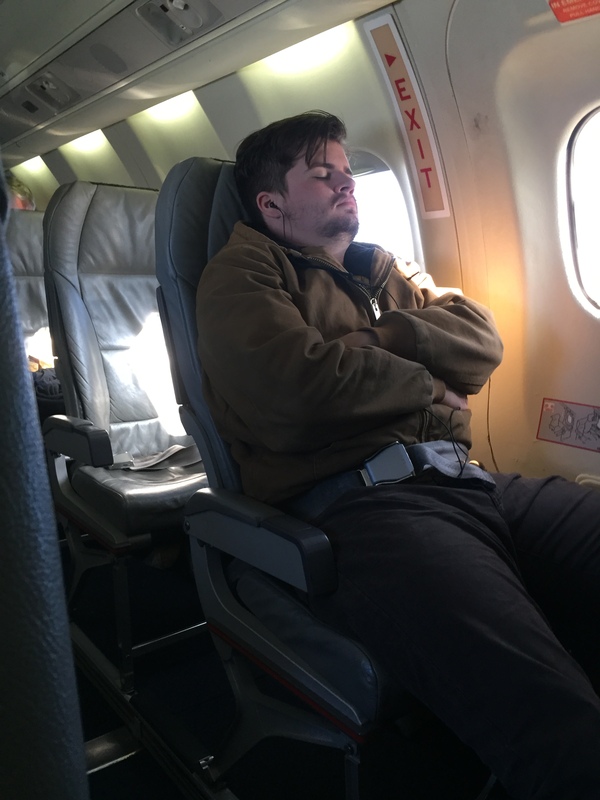 So, on March 26, Jason and Ian took off to Anchorage, where we planned a couple of days of local activities, including surveying habitats of Cook Inlet, and to arrange logistics of outward travel to Dutch Harbor on Unalaska Island. Flights worked smoothly – including an upgrade to first class! – and before day’s end we were in Anchorage. Anchorage looking towards Denali, as seen from our hotel room. Surveying Cook Inlet, looking back towards Anchorage. 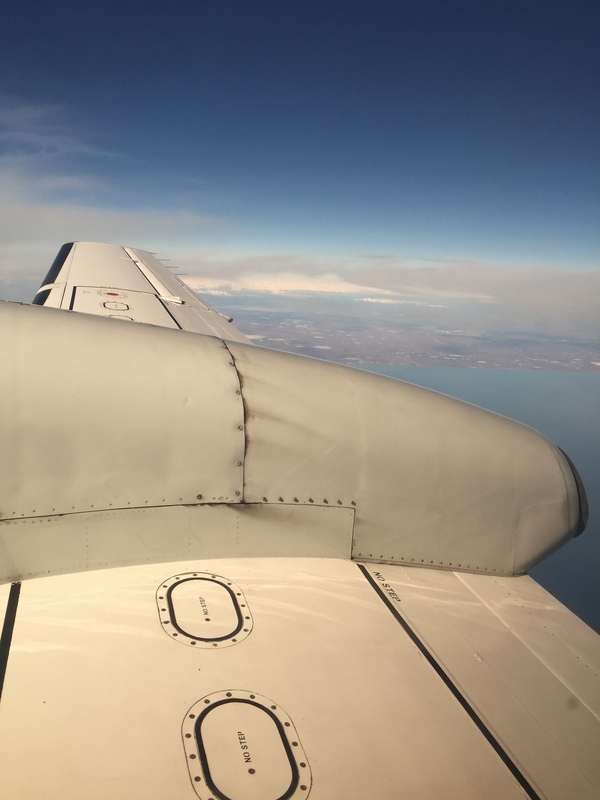 The following day, we boarded the tiny prop plane for the 3.5 hr flight to Dutch Harbor. A quirk of travel in Alaska is that they ask you for your weight on check-in. How rude. View of the Alaska Peninsula as we wing our way towards Dutch Harbor. When we arrived at Dutch Harbor, we were treated to the most unique and unusual scenery. 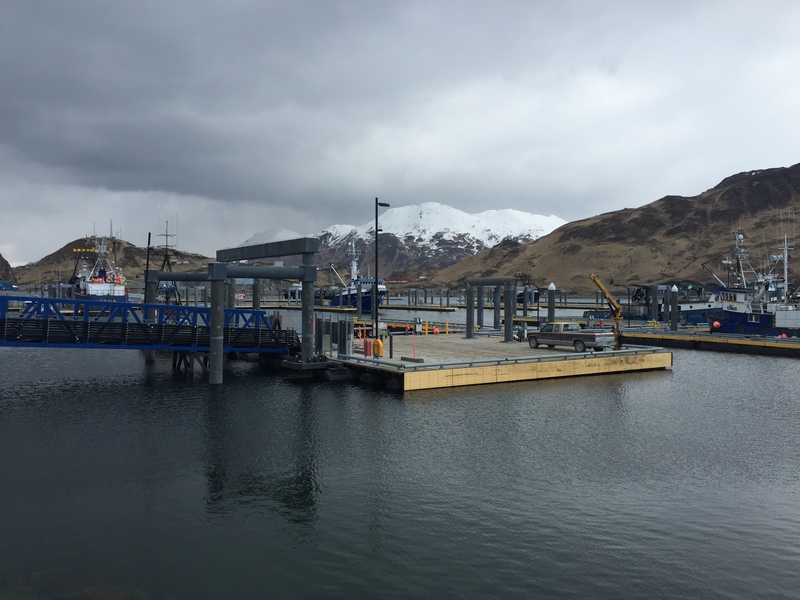 Dutch Harbor is home to the Bering Sea Fishing Fleet, also the filming location of “The World’s Deadliest Catch”. It’s a town of 5,000 people and about as many fishers. Shortly after arriving we made our way to Safeway (yes, they have a fully stocked supermarket on the island) and procured supplies for sampling. 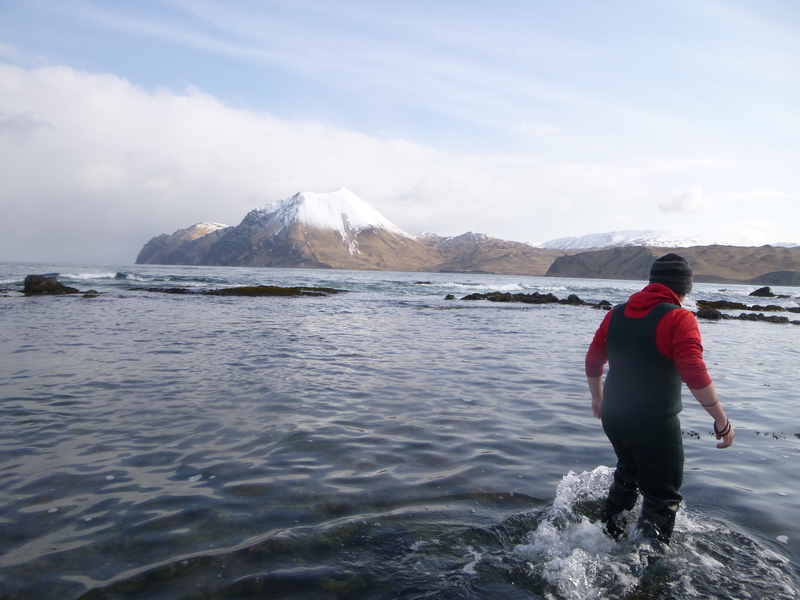 And shortly thereafter we were in the field sampling sea stars at a couple of locations close to town. It didn’t take long to find sea stars! First sampling site – just so unbelievably stupidly pretty. A small asteriid sea star (Leptasterias hexactis). After a brief sampling, we moved over to the port area, known as “Little South America” (it actually looks like the South American continent from the air). There we found more, larger sea stars. So far so good – no disease symptoms! Large Evasterias troscheli, looking very healthy! On the following day, we worked with a local scientific diver, Josh Good, to sample subtidal sea stars adjacent to Little South America. This proved a goldmine, since within about 20 minutes, we had sampled ~ 30 sea stars of various species including the 24-armed star Pycnopodia helianthoides. View of dive site – pretty incredible! 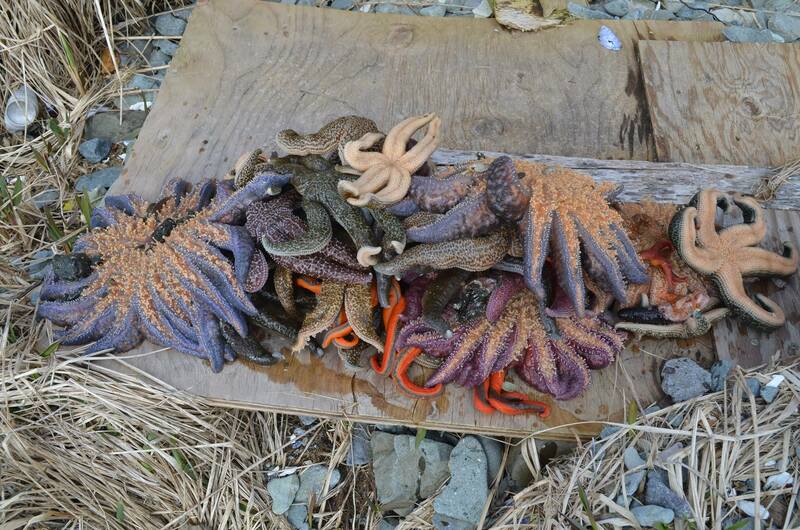 Sea stars collected by divers – including Pycnopodia helianthoides. That afternoon Ian gave a talk at the Museum of the Aleutians in town – its always amazing to me how, even in remote locations, there is enormous interest in sea star wasting disease! In total, we sampled 45 sea stars, which we later used to examine for the presence of SSaDV, the suspected causitive agent of wasting disease. All sea stars appeared healthy, so we expected not the find the virus. Ian’s talk was advertized at Safeway Dutch Harbor! 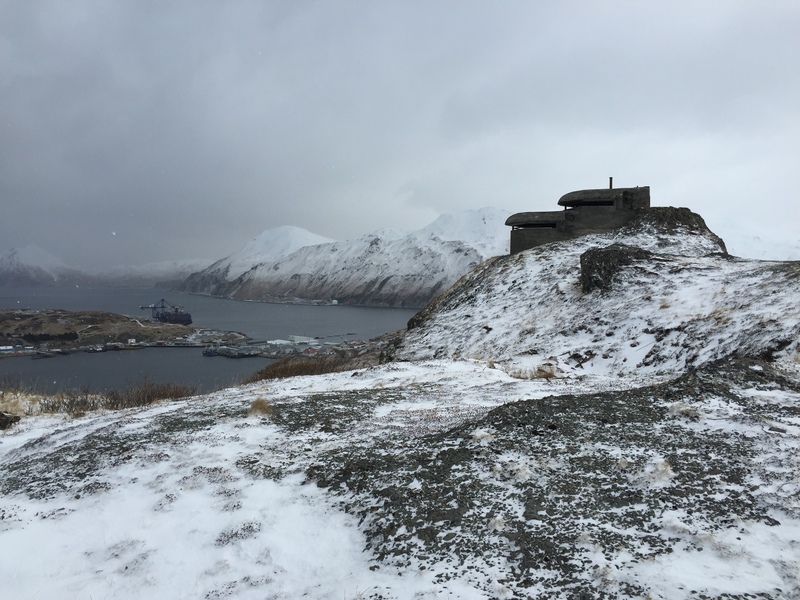 The next day, before heading to the airport for the flight out, we did a little sightseeing at WWII bunkers overlooking Dutch Harbor. Dutch was bombed by the Japanese Air Force in 1944, and as a consequence for many decades the island was home to >5,000 soldiers. Though the base has gone, the gun emplacements remain. Boarding the flight back to Anchorage, a big squall set in, and our flight was delayed by over an hour. But finally, we were able to take off and were on our way back – samples in hand – to Anchorage for the next leg of the adventure. Volcanic mountains west of Anchorage as we wing our way back to the continent. 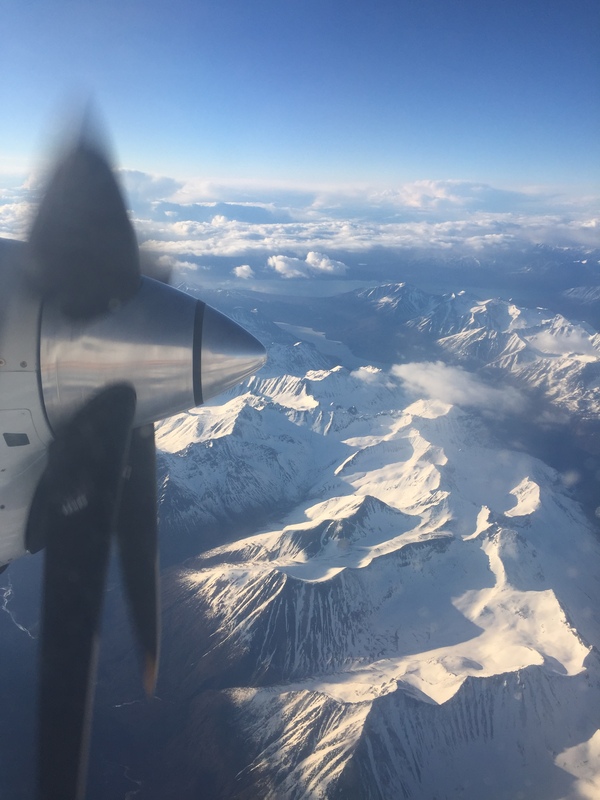 The following morning, we winged our way to Kodiak Island, which is a lot closer to Anchorage and more accessible for travel (many flights per day). Upon arrival, we equipped ourselves at the Walmart and Safeway for sampling, then headed out to an area that was likely to host a lot of sea stars. Fortunately, it was the lowest tides (~ 2m) of the month, so we had little difficulty finding large numbers of sea stars. 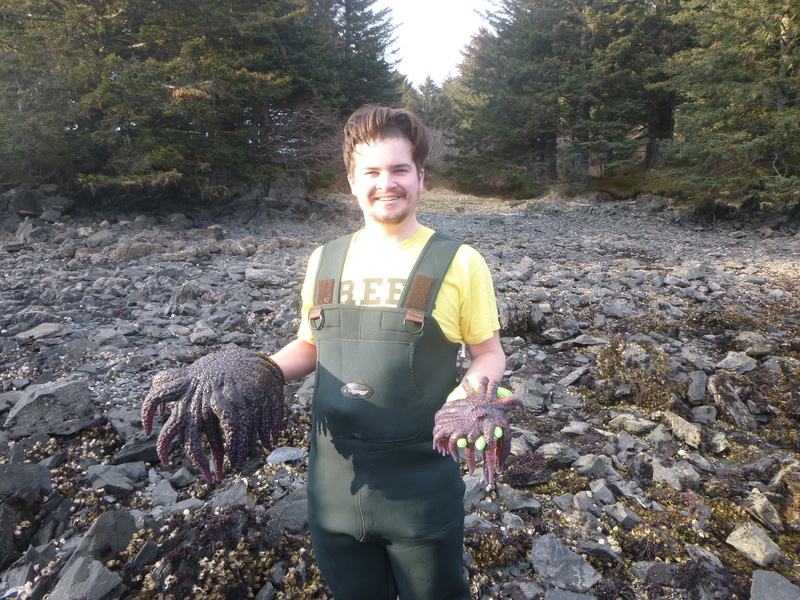 We collected a total of 40 samples from Kodiak Island. Most looked OK, though there were at least a few that appeared to have some kind of lesion. Speaking with fishers at the NOAA office nearby we found out that sea stars they’d seen east of the island looked “funky”, so it was quite possible the disease had spread this far west. However, sampling done, we had a chance to see some of the amazingly stunning parts of Kodiak Island. Beach at the southern end of Kodiak- it’s like a different world! After a week of fieldwork, we boarded the flight back to Anchorage and home, armed with many samples and unbelievable memories. Later analyses revealed that SSaDV was not present in these sea stars, concurring with our observations of almost no disease. 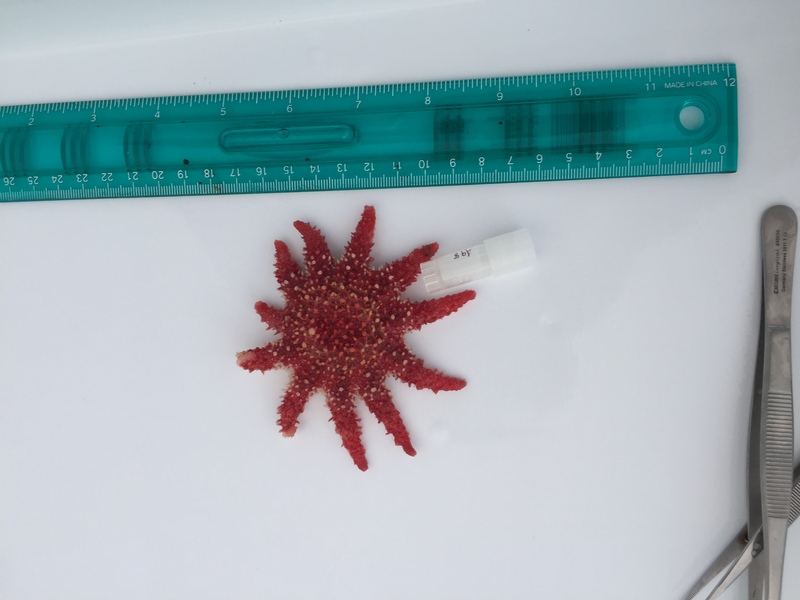 This means we can now move forward with additional work on sea star disease knowing that we have identified a naive population against which we can test our hypotheses! Click here for a cool video summarizing our work.